Old school 50s-style factory, bland and utilitarian. Sklar Peppler Furniture Corporation is Canada'a leading furniture manufacturer. 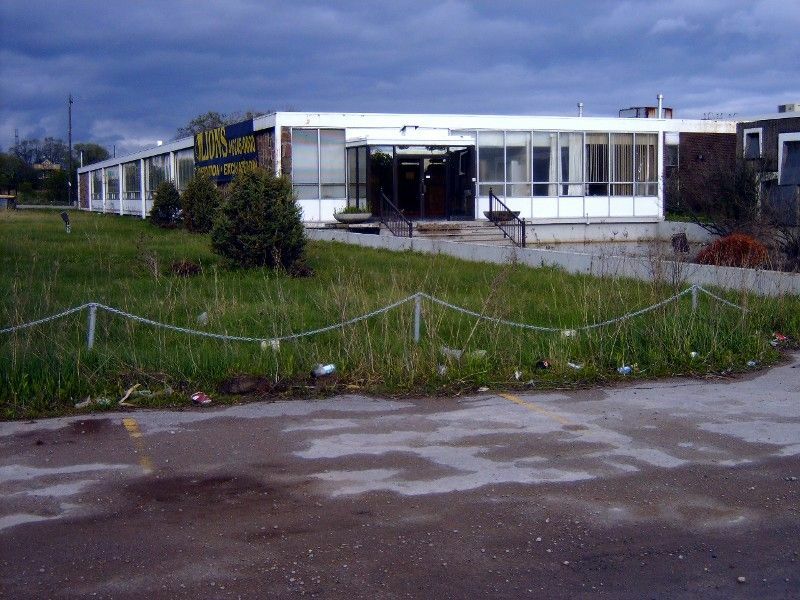 Up until 2006 when the company filed for protection under the the Canadian version of Chapter 11, to complete an ongoing restructuring and refinancing initiative they used this building as their main factory. Now restructured, their new factory is located one town westward in Ajax. Demolition and selling of land to a new buyer. This location's validation is current. It was last validated by Steed on 7/25/2008 7:13 AM. This page was generated for you in 93 milliseconds. Since June 23, 2002, a total of 574078133 pages have been generated.